This programme has been designed around the learning needs of workers in the residential care, community mental health and housing support sectors. But just about anyone who works with people may benefit from what our Suicide Awareness content has to offer. 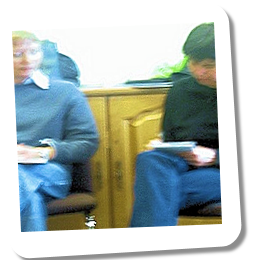 Our trainers have spent many years working with people who have either attempted or committed suicde. We have put these often painful and reflective experiences together with the latest and best research evidence to offer a programme of learning experiences which will help delegates deal with what is a sensitive and thought provoking issue. We examine case studies and 'psychological autopsies' to determine the various reasons why a person may wish to end their life. For example, it is often assumed that most people who kill themselves have some form of psychiatric condition which leads them to suicide. This isn't supported by the evidence, which suggests a reaction to life events is often behind a suicide attempt. We make extensive use of case studies to discuss the ethics of suicide prevention. Is suicide always a 'bad thing?' Is it sometimes appropriate for for a health or social care professional to empathise with the suicidal service user? The programme identifies risk factor closely associated with suicide, and looks at the assessment and management of risk. And we hope to leave delegates with the thought that although suicide is notoriously difficult to predict and prevent, social care services can and do employ strategies that significantly reduce the risk of tragic, untimely deaths. Suicide can be delivered as a one-day in house course for delegates requiring more intensive training, but can also be run as one of our Bite Size Courses. We can also deliver a Train the Trainer programme and Training Packs for this subject area.